Home / Books / Photography / [FISHER, Joel]. Buttered Breasts. (No place), No printing details, no date. (1970). First edition. Oblong 16mo. 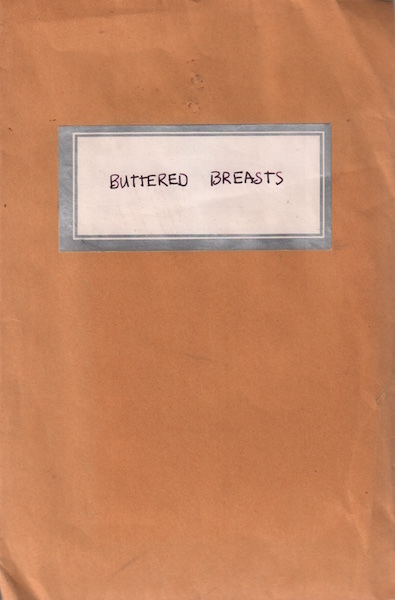 Obscure handmade artists book comprised of images of breasts smeared with butter. Two images tipped in with printed text beneath. 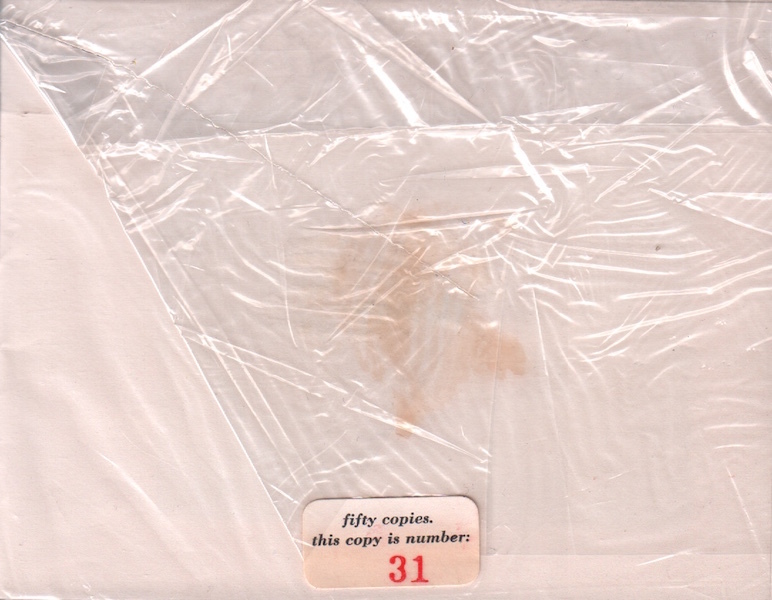 A very good copy in stitched wrappers housed in cellophane bag with limitation label (31/50 copies) together with handtitled manila envelope. 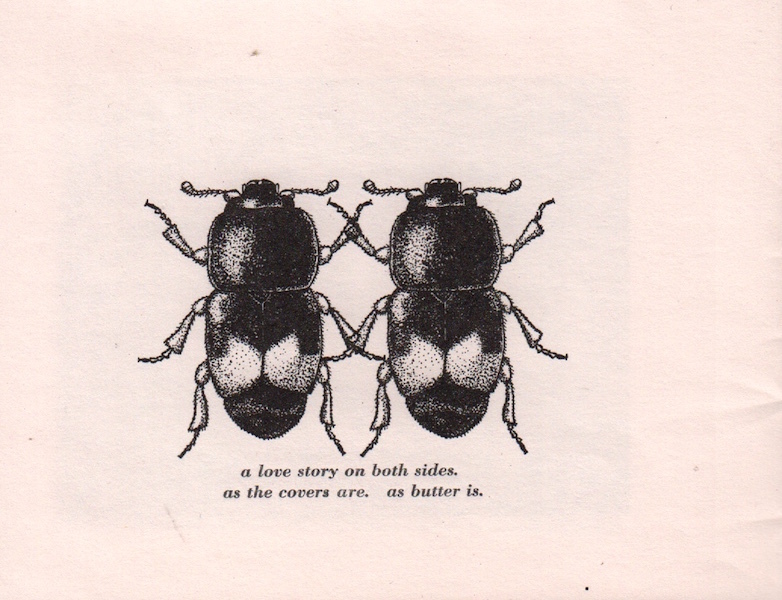 Fisher was also responsible for one of the very first Ed Ruscha pastiches, Six hands and a Cheese Sandwich. Rare no copies recorded in OCLC.